Ordinarily, candidates for school board wouldn't be on the ballot in the September 13 Democratic primary. But three board candidates are running, thanks to vacancies created by resignations. And the race comes during a particularly difficult time for the Rochester school district. On the ballot: Judith Davis, an intellectual property specialist for a local firm; Melanie Funchess, director of community engagement at the Mental Health Association, and Beatriz LeBron, a community health worker with Rochester Regional Health. Registered Democrats can vote for two of the three. The school board is already struggling to find unity. Three of its seven members are relatively new, and each has very strong views and isn't reluctant to express them. Both LeBron and Funchess were appointed in January to complete the terms of former board members Malik Evans (who was elected to City Council) and Mary Adams (who resigned due to a new job). Natalie Sheppard was elected to the board last November and joined it in January. School board service comes with a tough learning curve, and new board members must not only learn about the district's operations but also learn how to fit in with board members who have worked together for years and know each other well. If Davis defeats either LeBron or Funchess, that will inject still more change. And because this November's election is to fill two unexpired terms, the winners will face voters again in November 2019, for their own four-year terms. Whatever its composition, the new board will face enormous challenges. The district is still struggling with low test scores and low graduation rates. It hasn't been able to get on top of basic issues such as student absenteeism. And last year, failures in that area were highlighted by the death of 14-year-old Trevyan Rowe. Trevyan never got to class that day, but two teachers marked him present, and nobody knew he was missing until he didn't return home that afternoon. The school board is now waiting to learn how many Rochester schools will be placed in receivership by the state Education Department, giving the district a short time to turn them around, recreate them, or close them. Some district officials fear that the department will add a significant number of Rochester schools to the eight already in receivership. The lack of school improvement was highlighted by graduation rates this year that have stagnated in the mid-50s, even though many city schools have lengthened instruction time. State education Commissioner MaryEllen Elia is so concerned about the depth of Rochester's problems that she has appointed Jaime Aquino, a longtime bilingual educator, to assess the district's operations and problems. That appointment has been resisted by some school board members as well as some community activists. They're upset about Aquino's $150-an-hour salary, which will come out of the district's budget, not the state's. And they say the district shouldn't need outside help to fix the problems it should be able to address itself. As if school board members don't have enough to worry about, another potential challenge is on the horizon: finding a new superintendent. The relationship between Superintendent Barbara Deane-Williams and some board members has been rocky for more than a year. Deane-Williams has strong supporters on the board, and she has not said she's leaving. But her contract expires in August 2019. And if it had to be renewed right now, it's questionable whether she would get enough board members' support. If the board decides that it wants a new superintendent, it will have to begin a search for one well before Deane-Williams' contract expires. That means it will have to make a decision about her future relatively soon. Judith Davis is a minister who has been active in anti-racism work in Rochester and in the school district. 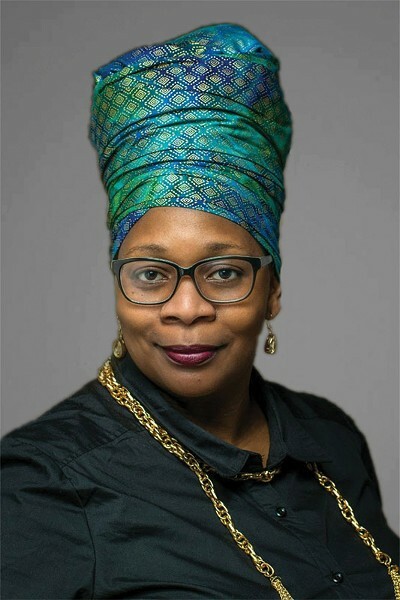 She helped form the Movement for Anti-Racist Ministry and Action and is a founder of At Liberty Ministries Inc., which works to raise awareness of institutional racism, particularly in faith communities. If she's elected to the school board, Davis says, she will push the board to hold the superintendent more accountable for implementing board policies. Davis is an intellectual property specialist in a local firm's law department. In the private sector, she said, people are fired when they don't do their job, but that doesn't seem to happen in the school district. Davis has also worked with parents and school officials on addressing institutional racism in city schools, and she wants to continue that work on the board. She is extremely knowledgeable about the history of education policies and how they intersect with institutional racism. If teachers and administrators don't understand why racism has existed for so long, they don't have the skills to change what students are taught, Davis says. She says she would work to eliminate racism in city schools and teach black and brown children their true history. Melanie Funchess has worked for more than 20 years in the fields of mental health, substance abuse treatment, and caring for individuals with developmental disabilities. She's the director of community engagement at the Mental Health Association, and she was appointed to the school board last January in part because of her special-education experience. The district has been criticized for years for its poor handling of special education programs and services. Funchess now heads a committee that is overseeing improvement plans. 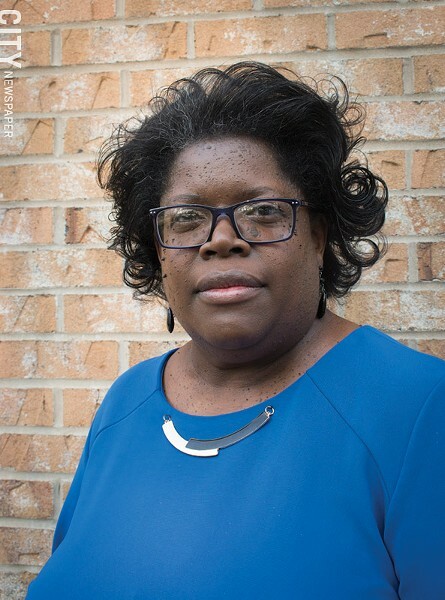 Funchess has children in Rochester schools, and in a recent interview she said she thought she understood the district and how it operated fairly well. But it wasn't until she joined the board that she saw the district's challenges up close, she said. "You can't know until you get here," she said. "Now I understand how things get shifted." Too many discussions occur at the district involving adults and there's no mention of children. Too often, she said, adults look at city children as "those children." "I live in this community," she said. "My husband is a teacher in this district. And I live by the premise that every child is my own child." Beatriz LeBron is a community health worker with Rochester Regional Health. She has a child in a Rochester school, she's been a substitute teacher, and she continues to work with district students and their families, coordinating mental health and trauma care. At times outspoken, LeBron says there's a general lack of accountability in the district, starting, she says, at the top with Superintendent Barbara Deane-Williams. The current superintendent, she says, is just not the right person for the job. "I don't know if I'm being too harsh," LeBron said in a recent interview. "I feel I'm being honest and transparent. I'm sorry, but it's needed in this district." LeBron has been particularly critical of the superintendent's spending. Deane-Williams has dipped too much into the district's reserve funds, LeBron says, and she's spent millions on outside consultants. 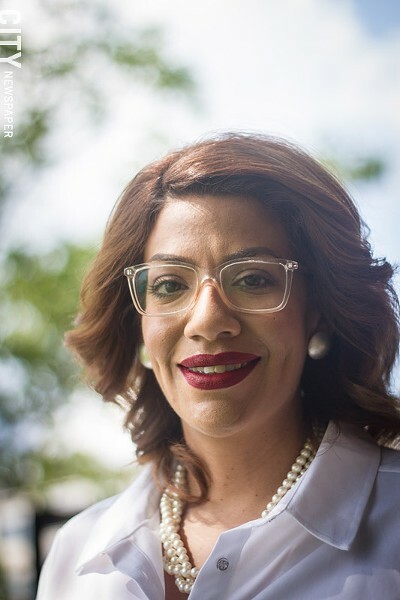 LeBron, the only Latina on the school board, is the Democratic Committee's 25th legislative district leader.